GRAPELAND – An Elkhart man was arrested on Aug. 28 and charged with a first degree felony after he broke into a residence located north of Grapeland. 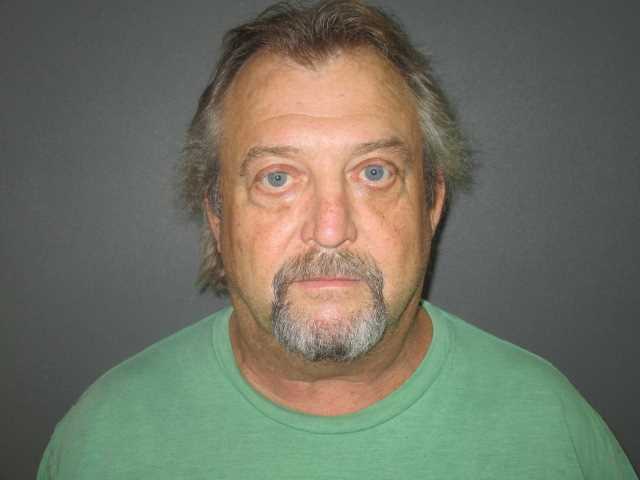 Judd Alvin Denson, 56, was charged with the offense of “burglary entry with commission of an assault,” stemming from his actions on Monday, Aug. 27. When Gardner arrived at the scene, shortly after 7 a.m., he met with the victim who informed him she had a prior incident with Denson involving the HCSO, where Denson had taken property from her. Eventually, all her property was returned and the victim informed the deputy she had broken off all contact with Denson. “(The victim) stated that Judd had been continuously sending her text messages and calling her, but she would not respond back or answer the phone when he called,” the affidavit reported. The apparent obsession took a dark turn on Monday morning with a series of text messages beginning at 5:47 a.m., according to the legal document. “This time I’m bringing the weight. We kicking in the door. I’m going to do some recovery. You better call the law this time before I get there. You through playing with me. Denson, while still holding the T-post driver, leaned into the room and allegedly told the victim, “Come here now. I don’t want to do this in front of your kids, But I will if I have to,” the affidavit stated. It was later discovered Denson had taken the victim’s purse which contained cash, credit cards and identifying documents. Denson was apprehended on Aug. 28 and charged with burglary entry with commission of an assault, a first degree felony. Denson’s bond was set at $30,000. It was posted and he was released pending further legal proceedings.